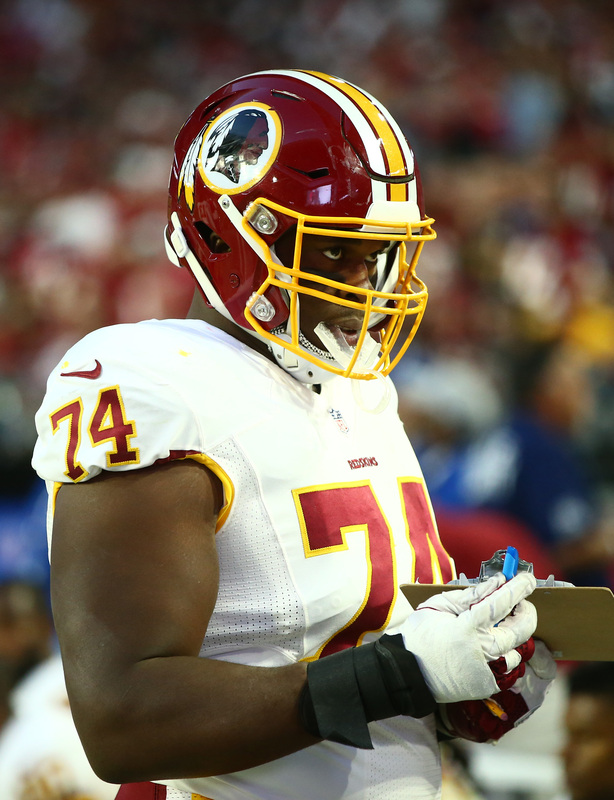 The Redskins have waived/injured guard Arie Kouandjio. To take his place on the roster, they have signed fellow guard Isaiah Williams. This was the expected move after it was learned that Kouandjio would miss the entire 2018 season with a torn quadriceps muscle. If Kouandjio goes unclaimed on waivers – which is the likely outcome – he will land on the Redskins’ injured reserve list. From there, the Redskins can either keep him on IR or negotiate a settlement for his release. Before the injury, Kouandjio was said to be performing well on the practice field and figured to be a staple in the rotation on the interior line. Without him, Shawn Lauvao appears to be a shoe-in to start at left guard with standout Brandon Scherff manning right guard. The former fourth-round pick out of Alabama appeared in 17 games with Washington over the last three years and started in the final six games of last season. Williams is no stranger to Washington. He entered the league with the Redskins as an undrafted free agent in 2016 and spent the year on their practice squad. Since then, he has spent time with the Chiefs and Colts.